This is a great time to fellowship, eat some chili, and test your cooking skills. We welcome men of all ages to sign-up today to attend. 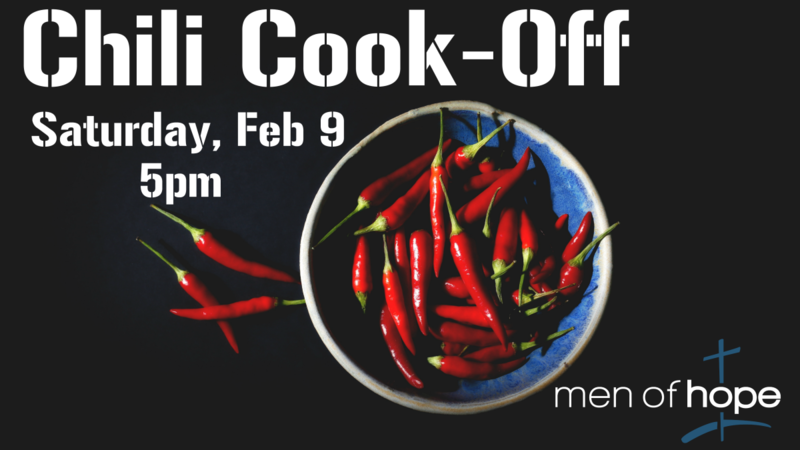 We do have a limited number of spots to enter a chili so make sure you sign up today.